As cyber attacks increase in frequency and scandals involving governments hacking into private computers become more commonplace, it's no wonder that one of the most promising fields in the current IT sector would be cyber security. In fact, recent research has indicated that cyber security has grown by more than one hundred percent in the last year. Clearly, anyone seeking a job in the information technology area would do well to start at the first line of defense against hackers. The term "hacker" is often associated with illegal online activity. However, there are hackers who perform 100 percent legal services, which are based on evaluating the information infrastructures of companies. For those who hold the Certified Ethical Hacker certification from the EC-Council, there are several jobs to consider that come with attractive compensation. Some of the most common jobs for hackers holding the CEH certification include computer forensics, incidence response, penetration testing and security analysis. Penetration testing is the most common job for new hackers, but some later advance to become engineers or take on a wider variety of tasks. The term advanced persistent threat (APT) was originally used to describe complex, ongoing espionage perpetrated by foreign governments. However, today, APT typically refers to a category of cybercrime directed toward businesses or government entities. 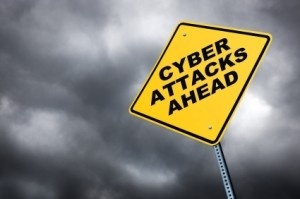 APTs are usually online attacks used to achieve goals beyond those that can be met by a single security breach, but some may involve malicious activity conducted onsite. Compromised computer systems are continuously monitored by the attackers or added to a stable of slave computers to be used to achieve some future goal. APTs are most often perpetrated by employing some form of malware, and IT technicians defend against APTs by installing antimalware software and hardware firewalls.